Yesterday’s Senate Foreign Relations Committee hearing on the status of US efforts to reach a comprehensive nuclear agreement with Iran put on display a surprising disconnect between some of the Senate’s most hawkish members and a stacked panel of “experts,” all of whom were probably expected to agree with Senate hawks. The hearing went to plan early on, with the panelists—David Albright, president of the Institute for Science and International Security; Gary Samore, president of the hawkish United Against Nuclear Iran pressure group; and Michael Doran, a senior fellow at the Hudson Institute—expressing concerns about extending negotiations through March and backing increased sanctions should negotiators fail to reach an agreement by the new deadline. 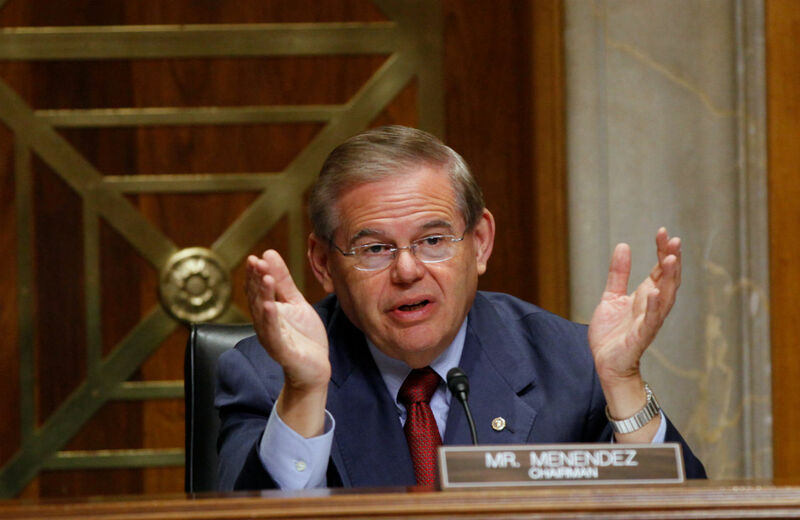 But the wheels came off in the second hour of the hearing when the committee chairman, Senator Robert Menendez (D-NJ), raised the possibility of sanctions that would be implemented automatically at the end of March if there is no agreement between the P5+1 and Iran. Gary Samore, the White House’s former non-proliferation czar, quickly shot Menendez’s trigger-sanctions down. “My concern is that some in Iran might actually welcome such legislation because they could very well calculate that it will put more pressure on the P5+1 to make additional concessions in order to get a deal to avoid having the old sanctions imposed and then going back to the previous situation,” he demurred. David Albright jumped in as well, warning that such legislation could actually push Iran to further develop their nuclear program. “Trigger sanctions, where they come into effect in a mandatory way, is perceived by the Iranians as putting a gun to their head and leads them to put together trigger-advancements in their nuclear program,” he said. The panel also expressed concerns over the failed effort by Senators Lindsey Graham (R-SC) and Bob Corker (R-TN) to automatically impose sanctions if negotiators failed to reach an agreement by the November deadline. Menendez, visibly dismayed that his hearing had failed to produce expert approval of his “trigger sanctions” and efforts to constrain the acceptable terms for a comprehensive nuclear agreement with Iran, adjourned the hearing shortly thereafter. Senate hawks, however, need not hang their heads: reinforcements are on the way. Next year, Tom Cotton (R-AR), a favorite in the neoconservative corner of the Republican Party, joins the upper house. Yesterday, the Senator-elect tipped his cards, revealing that he had no intention of supporting a negotiated resolution to international concerns over Iran’s nuclear program. While Senate hawks are typically careful to avoid an outright call to end diplomacy and steer the United States into a third war in the Middle East, the Senator-elect from Arkansas and Pompeo never got that memo. Although they are far from the only members of Congress to have quietly discussed a long-term goal of killing the P5+1 negotiations. In September, The New Yorker’s Connie Bruck detailed how Representative Eric Cantor (R-VA), with AIPAC’s backing, introduced legislation in late 2013 designed to kill the interim agreement with Iran. Cantor eventually backed down, but the incoming Congress seems poised to take up his mantle.